Hey guys! Is it just me or is July speeding away? This will only be a short post from me today as I'm busy trying to do my dissertation and as the internet decided to crash earlier, I haven't done as much as I planned. Back in October/November I won a free polish from Wikkid Polish and I'm only just getting round to using it. Awful I know! I got to choose which one I wanted and although I had a list a mile long, I settled on a purple because as we know, you can never go wrong with purple! As I haven't talked about Wikkid Polish in my blog before, I'll give you some basic information. Wikkid is owned by a lovely lady named Sarah and she hand-makes all the polishes herself. Wikkid is PETA certified cruelty free and also vegan! This means we can have pretty polishes and know that no fluffy animals were hurt in the process. What more do you want eh? As you can see, the polish I chose was this little beauty named 'Amethyst'. This polish is described as a clear base filled with purple glitter, blue/purple flakies and lots of scattered holo but I'm sure I'm seeing gold/green in there too! It's absolutely stunning and super sparkly. Not only does it look great but the formula was also fab. 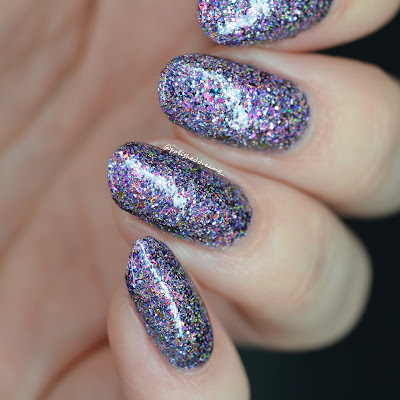 It was super easy to apply which is exactly what you want with glitter polishes (and all polishes I guess really haha!). I'm totally not one of those people that will sponge on glitter polishes if they're not opaque so I love a glitter I can paint on easily. Shown here is two coats with topcoat. So as I said, this post is short but sweet! I only have a few polishes from Wikkid so hopefully I can get more in the future as Sarah really does have some stunners! Unfortunately 'Amethyst' is currently sold out but you can visit her shop here and find some other pretties to buy. 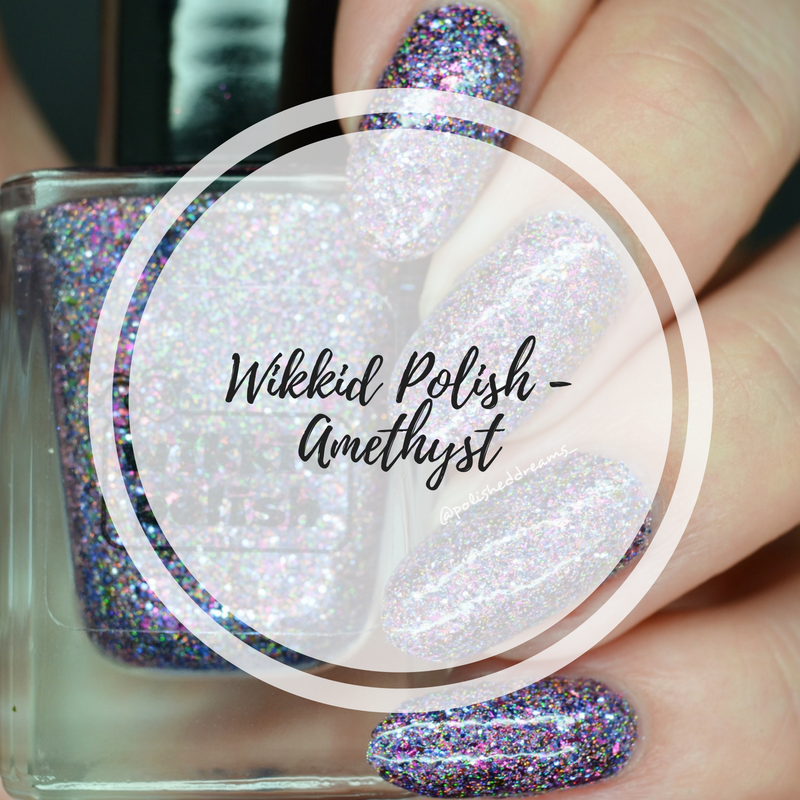 Have you ever tried Wikkid Polish? If yes, which is your favourite?